When I got into the dealer's door, immediately I saw how the show room and outside was clean. My husband and I were met by a very nice sales representative, Michael Iscaro, and we told him what we wanted and he directed us to the SUV that he thought would be good for us...then we asked him if it was available in White and sure enough he found one for us in the 2017 so that we would get a better deal. We really like Michael, he is not pushy and answers all our questions without hesitation and always helpful. We went to look only at first but we found what we wanted, so we didn't feel the need to go around town to all other dealers. We are very happy with our purchase...we will see later about the service, but it looks good so far. I bought my Envision this year and had to get the first service. I called and they had me in the shop in 3 days. I got to the shop at the appointment time and they were all ready for me. I was told that the initial service should take less than an hour. They got me in on time and had the service completed in time for me to get to my next scheduled appointment. This dealership truly wants to serve their customers and goes all out to keep us happy. We went in looking for a vehicle we could flat tow behind our RV. Micheal and Dan worked hard to find a vehicle that fit what we needed. There was no pressure but very helpful. We had been at several dealers both locally and out of state but none were as knowledgeable as they were and if they weren't sure they were looking it up. Would use them again. Have had follow up calls to make sure that everything was going ok with the vehicle. Sisbarro is a pleasure to do business with and I've always been treated like family there. Lou, Pat, and Dan are pillars in our Las Cruces community and I can't thank them enough for all that they've done for me. The staff has always been a pleasure to deal with, and there's no better dealership group to do business with in this town. Recently, I took my fiancés Ford Escape in for an oil change. Everything was quick and easy. As I was on my way home, I glanced down at my invoice and noticed that they had given us a discount on our services!! Next to the discount was a written note from the manager that said "Thank you for being a valued customer, we appreciate your business." You just don't experience things like this these days too often, but it made our day to say the least. Thank you Sisbarro, you all are awesome!! This is my first Buick and I love it. My enclave has all the gadgets you can dream of which is why I only trust this service department with my baby. Frank is the person to talk to in the service department! He is kind, honest, quick, and very helpful. He knows his crew in the back and treats everyone with respect. I will always take my vehicles here for service! Our 2017 Acadia SLT2 was on order for just under 3 months. We took delivery of it less than a week ago and love it already. Our salesman, Rudy kept us informed of the build and delivery progress. A big thank you to the sales team and the new car prep guys. One of the best GM Dealerships in America. They quickly diagnosed an issue during regular maintenance and fixed another dealerships mistake. 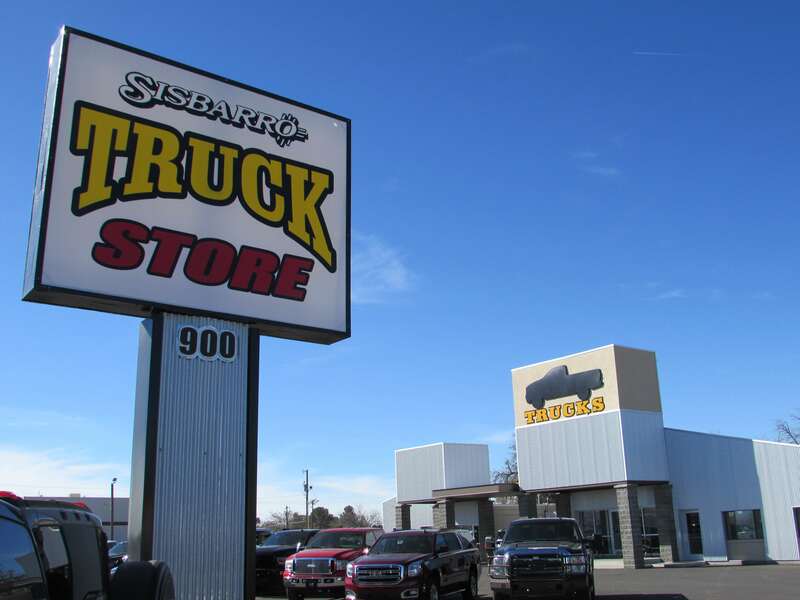 All GM Dealerships could learn from Sisbarro's.